The organizer of an Indigenous protest that was interrupted by off-duty members of the military on Canada Day says it’s time the Canadian Forces incorporated Mi’kmaq history into its training. 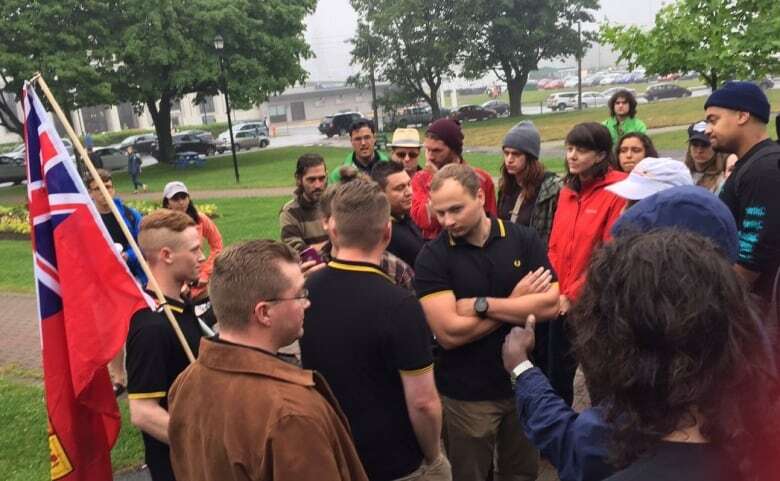 The organizer of an Indigenous protest that was interrupted by off-duty members of the military on Canada Day says it's time the Canadian Armed Forces incorporated Mi'kmaq history into its operations and training. Five members of the Canadian Armed Forces are now suspended with pay pending an investigation into their conduct. They disrupted a ceremony where Chief Grizzly Mamma, an Indigenous woman from B.C., was shaving her head as a sign of mourning. 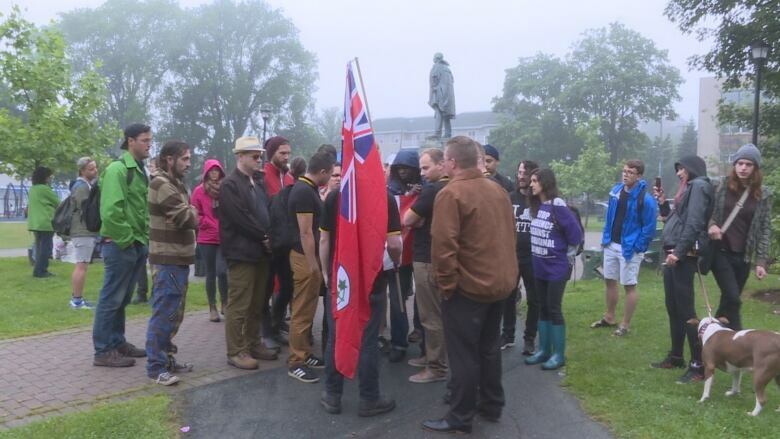 The protest was held near a statue of Edward Cornwallis, a controversial British military officer credited with founding Halifax the same year he offered cash to anyone who killed a Mi'kmaq person. The five men identified themselves as being Proud Boys, a fraternal organization that describes its members as "Western chauvinists." One of the men said the protesters were "disrespecting Gen. Cornwallis," and part of the exchange with the activists centred on whether they were in Canada or on Mi'kmaq lands. Rebecca Moore, who organized the July 1 event, said people were praying to their ancestors for lives lost since the beginning of colonization when they were interrupted. Now she'd like to see an ongoing public acknowledgement from the military on the East Coast that they're on unceded Mi'kmaq lands. "So it's not disputable, it's a fact, and their employees are aware of that," she said Wednesday. "That's our history and that education piece is a key factor in avoid confrontations [such as] what happened on Canada Day." Other institutions in Nova Scotia have taken steps to acknowledge they're on Mi'kmaq territory. No one from the Canadian Armed Forces was immediately available to comment on Moore's call for official recognition and more education. 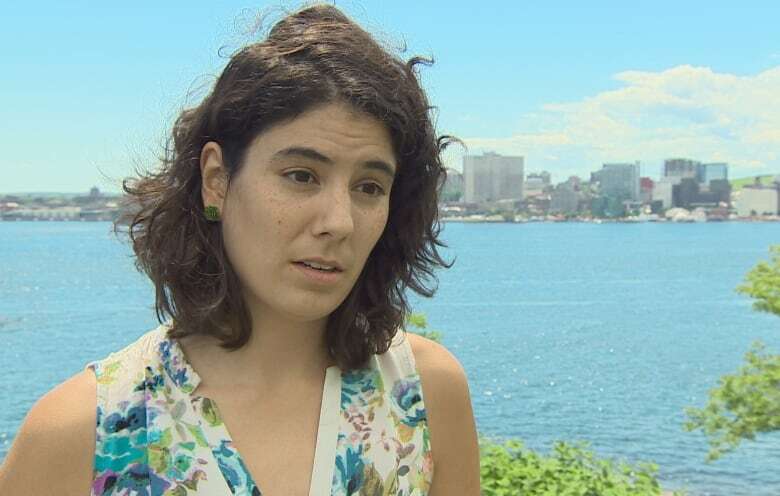 Halifax's poet laureate, Rebecca Thomas, who was also at the ceremony, said it is unfortunate the Proud Boys' arrival overshadowed the purpose of the event. She hopes people who've been following what happened "don't feel sorry or pity us. I want people to understand and empathize with what we're doing." Indigenous groups have had to work hard to assert their rights and retain their language and ceremonies, Thomas said. "It would be nice that people understood how much Indigenous people are still fighting for sovereignty and to be understood and to be empathized with. We are not postcolonial. Canada has a lot of work when it comes to reconciliation and reparations with Indigenous people, Armed Forces included." While it was unusual to have a group physically interrupt an event, Moore, a member of Pictou Landing First Nation, said the mentality she encountered wasn't new. She said similar comments are "pretty prevalent" in conversations at social events or among friends. "People who think like that — on a day-to-day basis, and more one-on-one confrontations — that's not unusual at all," she said. "It's kind of discouraging that we have to be asserting ourselves and re-assert ourselves when these are facts. That's history." Tuning out racist comments — in person and online — has become routine, she said. But it still takes "an emotional and mental toll." Despite this, Moore said she tries to take the time to educate people on Indigenous history and culture. "That is, in a sense, my duty, for when I have kids that maybe they don't have to fight as hard to be themselves." People who identify as Inuit, Métis or Indigenous make up 2.5 per cent of the regular force and primary reserve force. Daniel Le Bouthillier, a spokesperson for the Canadian Forces, said Indigenous Canadians are "core members of the defence team and deserve to be celebrated as such."